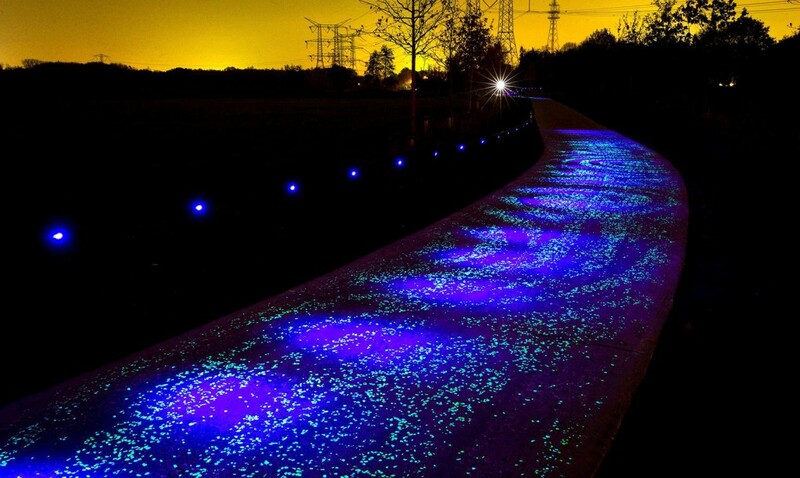 Artist Daan Roosegaarde has created an incredible twinkling solar bike path that generates a stunning nighttime display. By creating this in the Dutch town of Eindhoven, the artist has paid homage to its most famous resident, Vincent van Gogh. 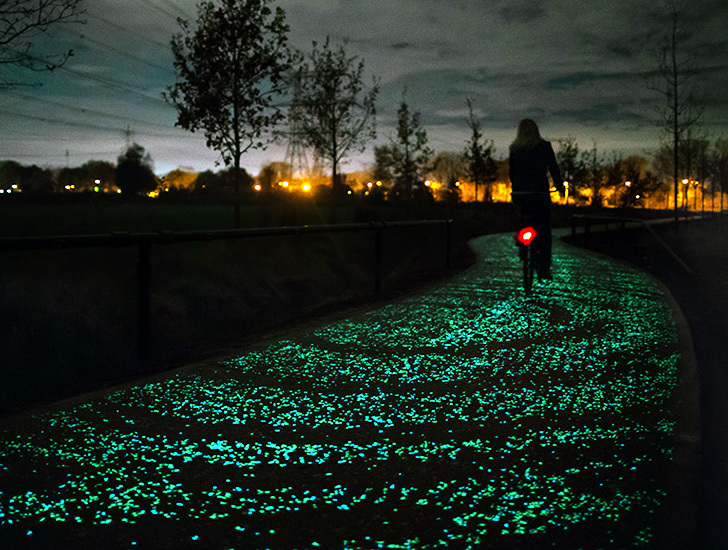 Of course, the primary goal was to make bike commuting safer, but Roosegaarde also wanted to make it more beautiful. The path was created for the van Gogh 2015 international theme year, and it connects van Gogh heritage locations in the Netherlands. 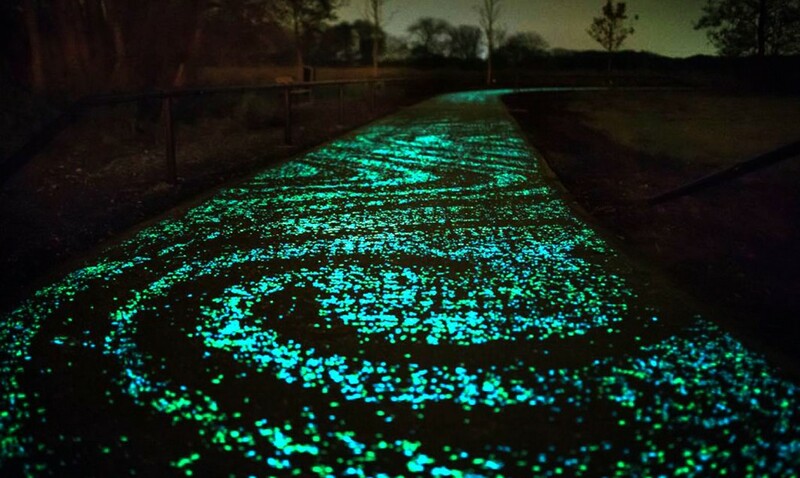 This illuminated bike path is created using solar-powered LEDs and light-collecting paint. LED lights are powered by a nearby solar array that charges during the day. The path covers about half a mile. This project is a part of Roosegaarde’s smart roads projects with the aim to make roads more efficient. Regarding the path, Roosegaarde said, “I wanted to create a place that people will experience in a special way, the technical combined with experience, that’s what techno-poetry means to me”.